Side 1. 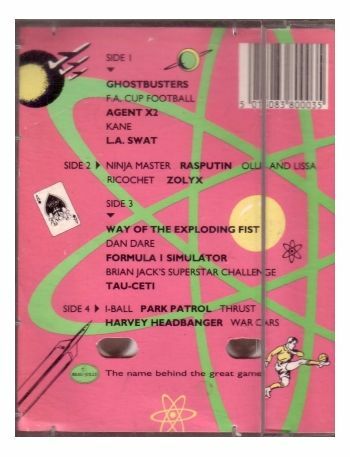 Ghostbusters, F.A. 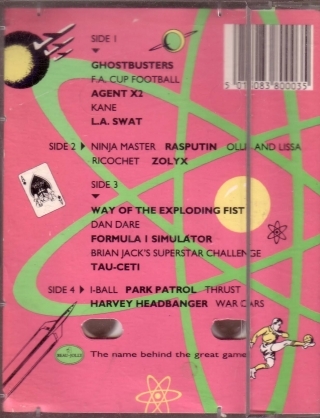 Cup Final, Agent X2, Kane, L.A. Swat.Side 2. Ninja Master, Rasputin, Ollie and Lissa, Ricochet, Zolyx. Side 3. 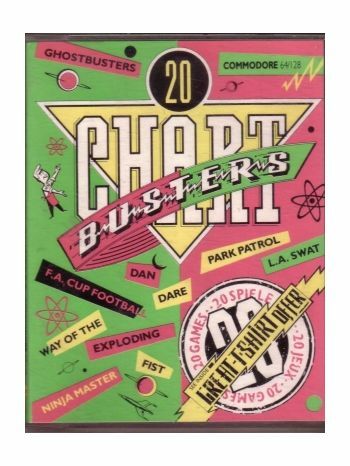 Way of the Exploding Fist, Dan Dare, Formula 1 Simulator, Brian Jacks Superstar Challenge, Tau-Ceti. Side 4. 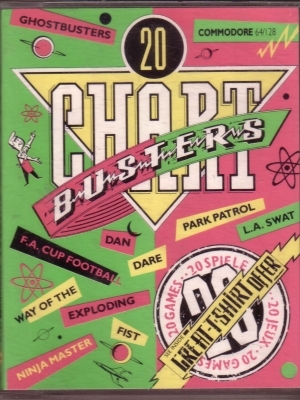 I-Ball, Park Patrol, Thrust, Harvey Headbanger, War Cars.